Discover the ease of planning private events at American Slang Modern Brasserie. 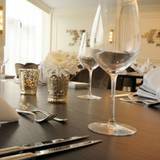 Restaurants with private rooms make delightfully unexpected and memorable private event venues. The coveted Plaza location makes it even more so. American Slang’s multiple and flexible private dining spaces accommodate as few as 20 – 30 or as many as 90 – 100, depending on event style and seating setup. To check availability for your next corporate gathering, holiday party or special event in our intimate Kansas City event dining space, contact us today! Please fill in your information below and Samantha Froelich will contact you as soon as possible to book your event. If you’d prefer to talk now, please call us at (877) 668-4510.